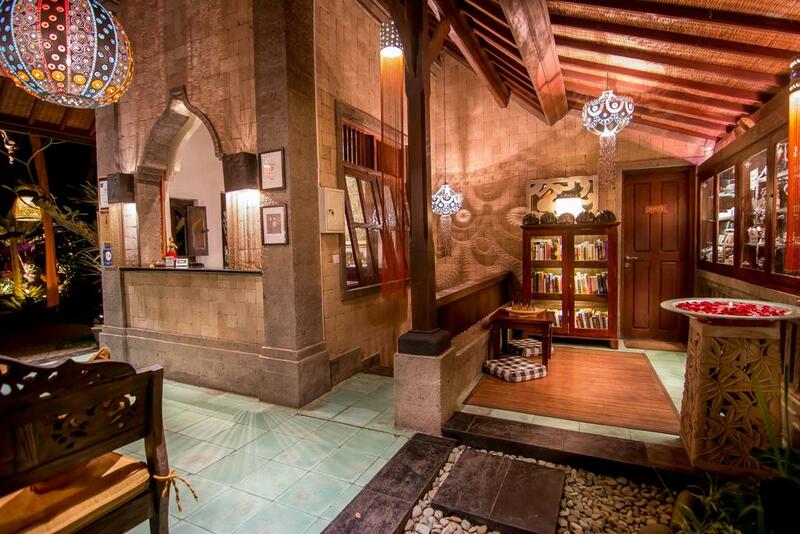 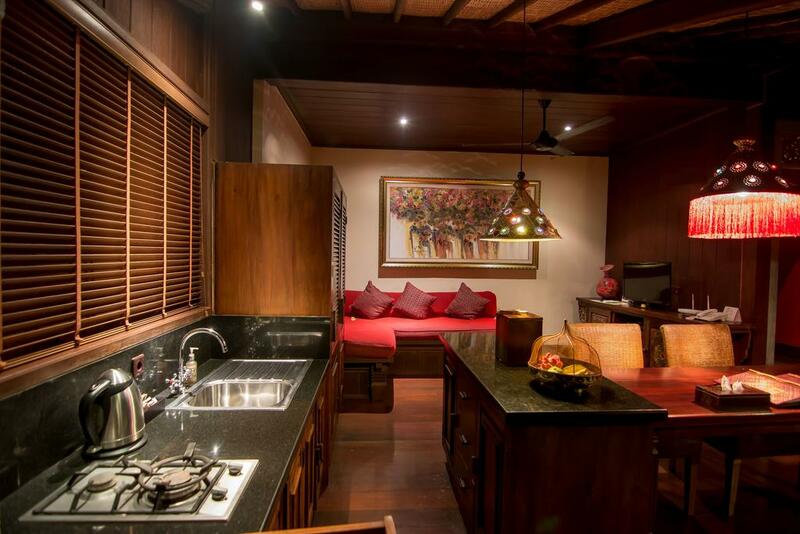 All villas come with a DVD player, coffee & tea making facilities and microwave. 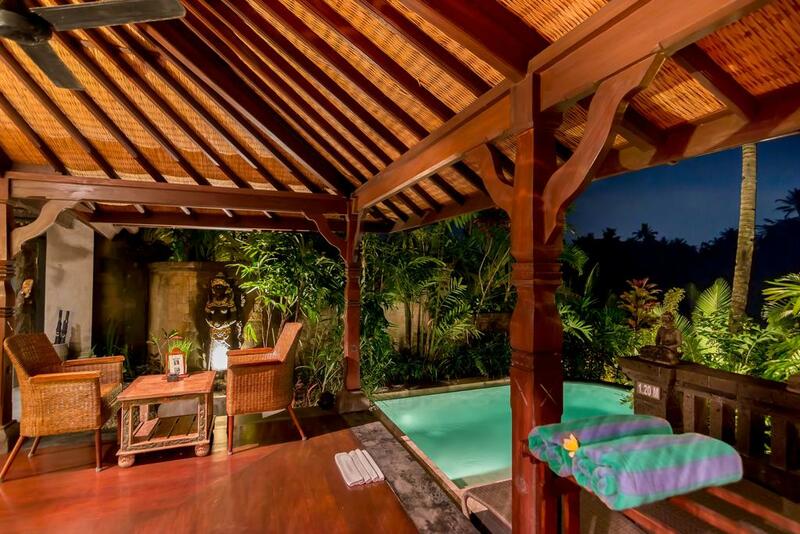 Certain villas have their own private pool. 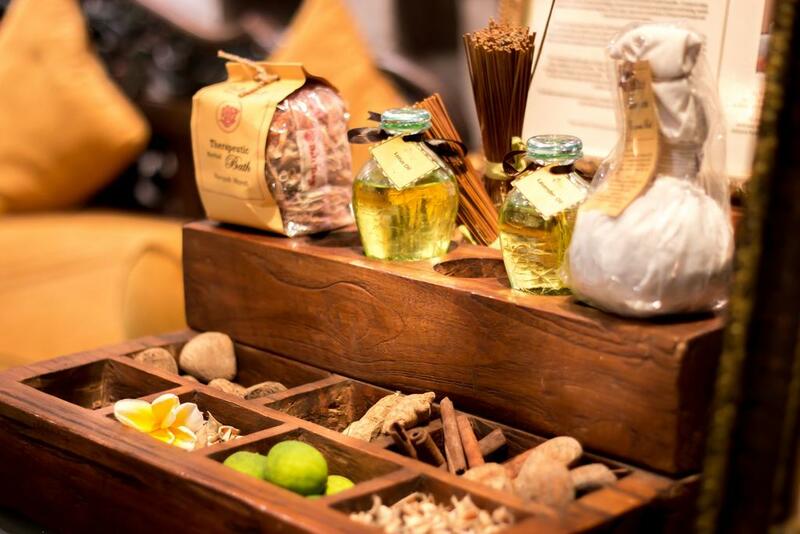 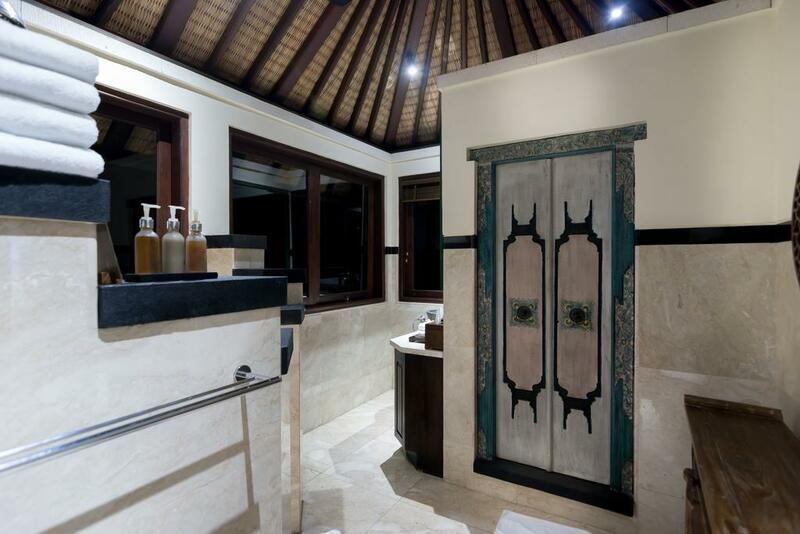 Guests can enjoy a traditional Balinese massage and body treatments at the resort’s Matahari Spa. 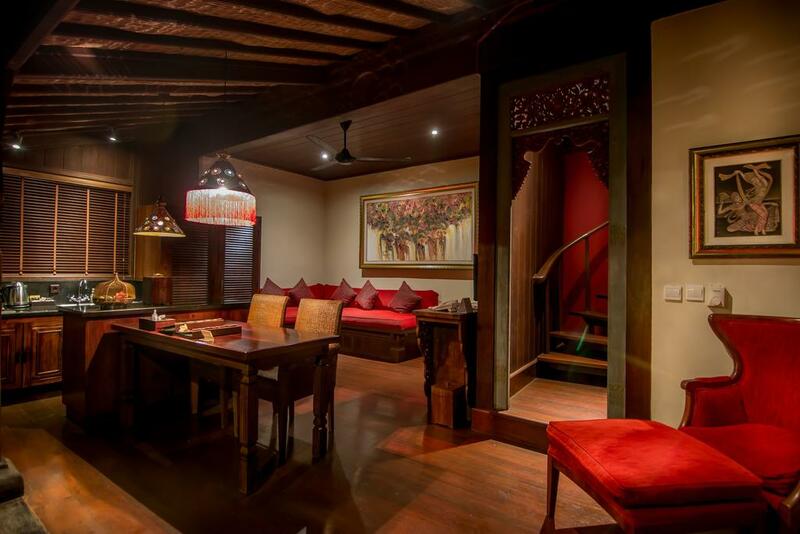 A small library of books and DVDs are available. 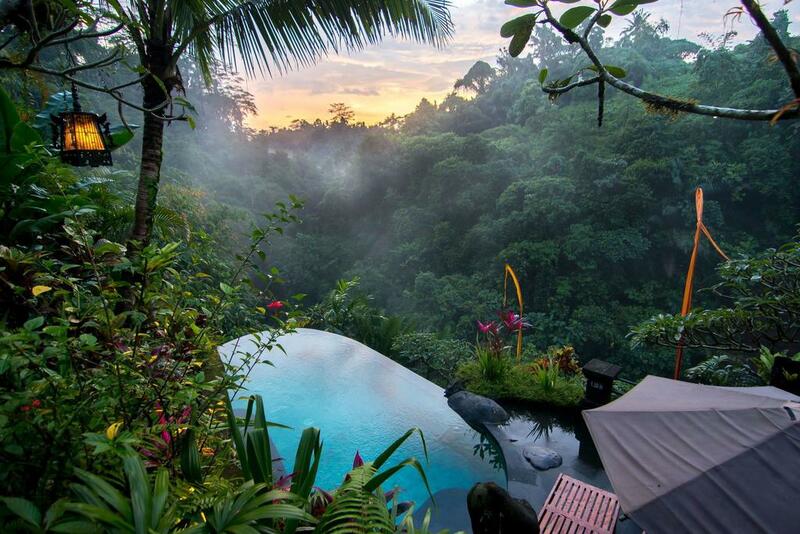 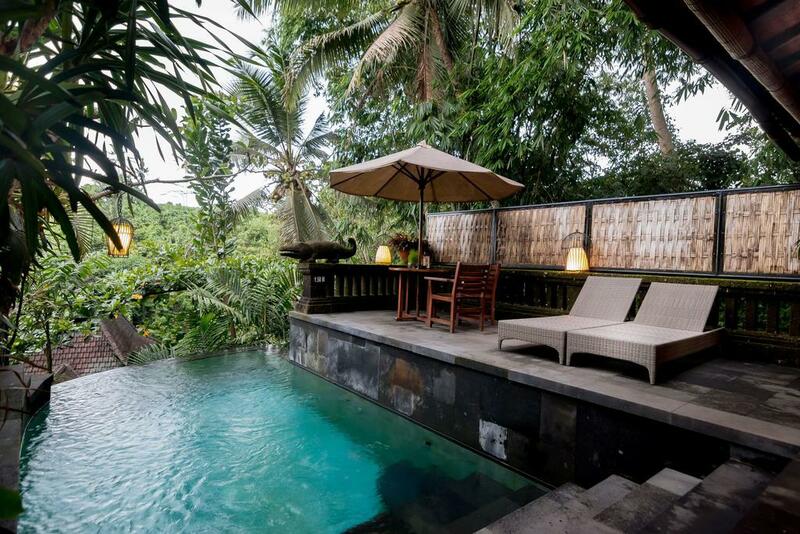 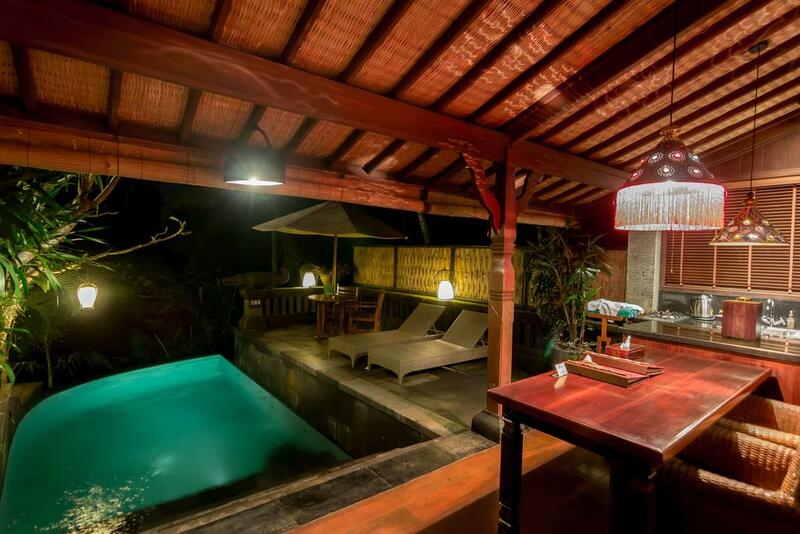 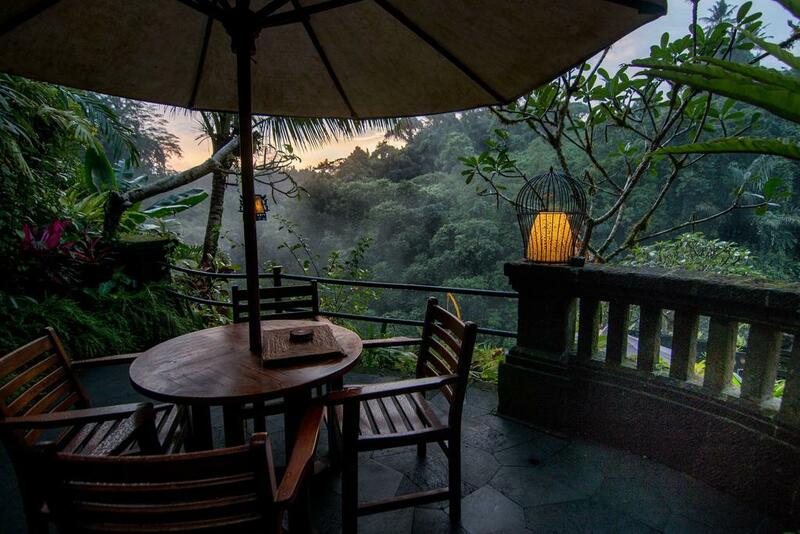 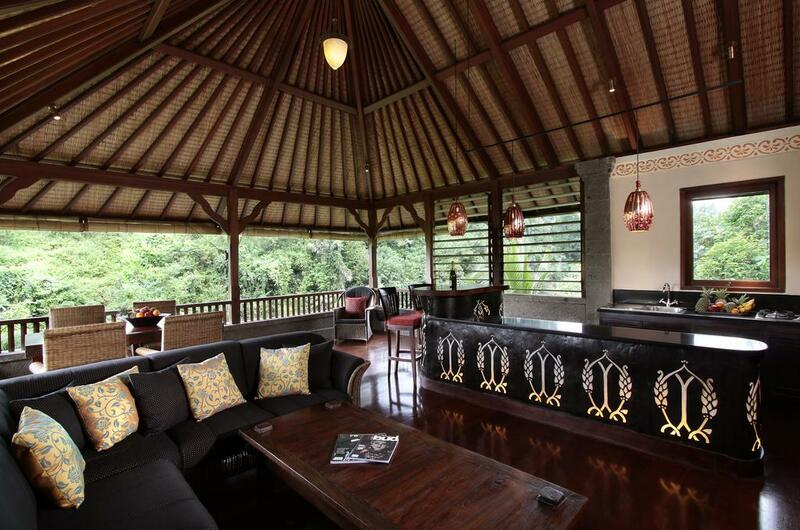 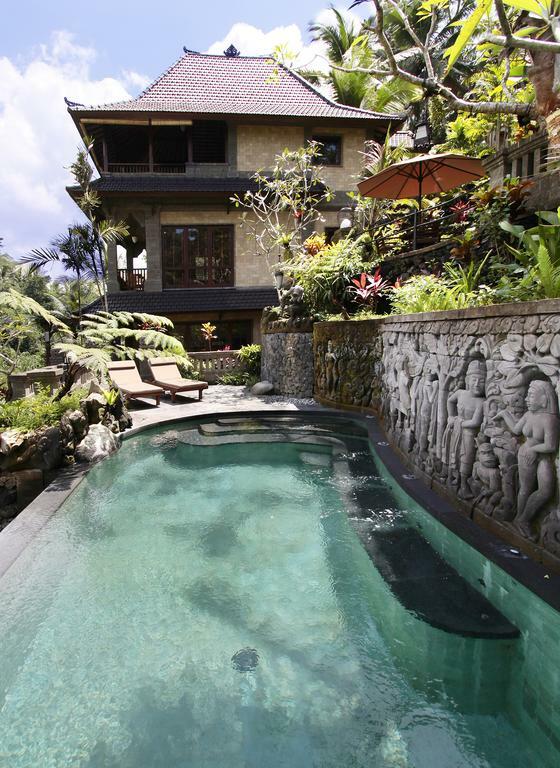 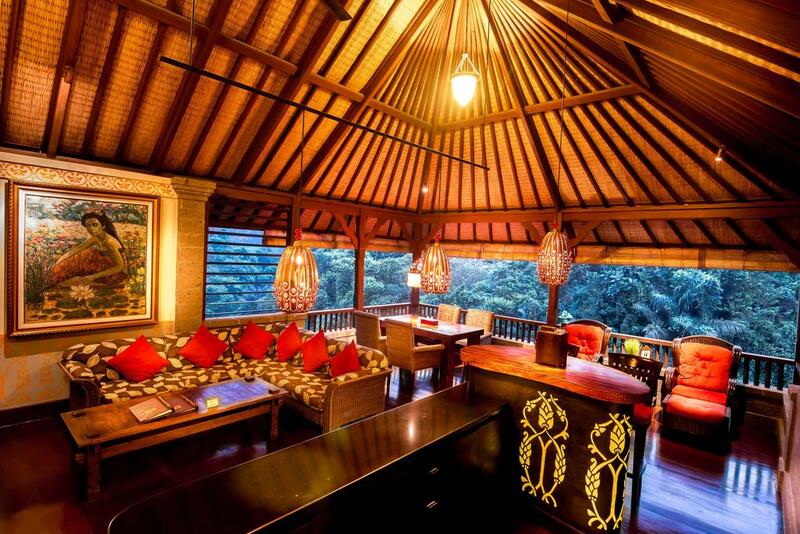 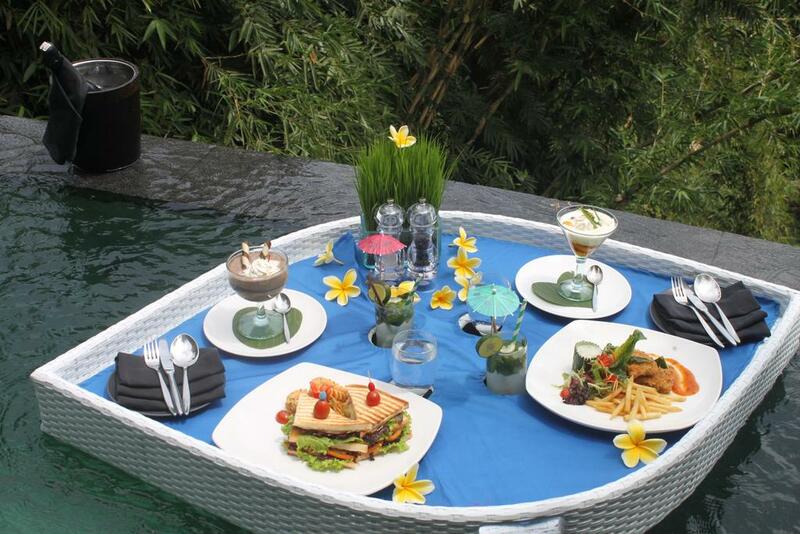 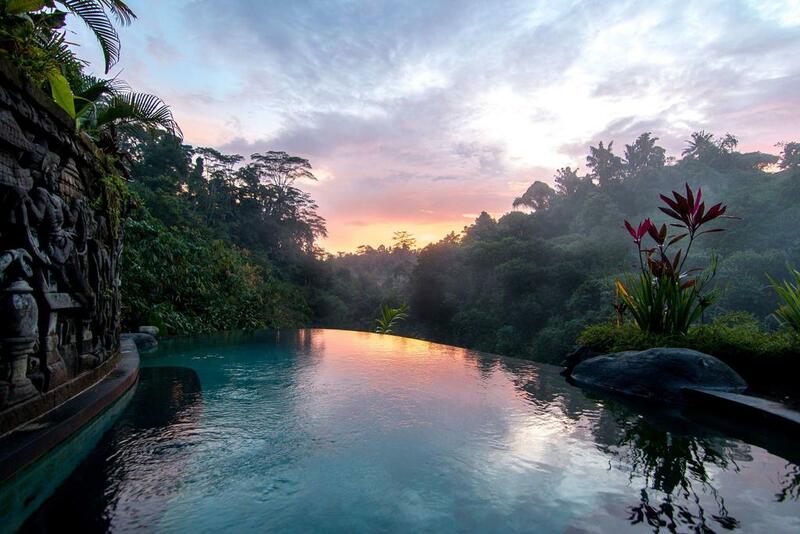 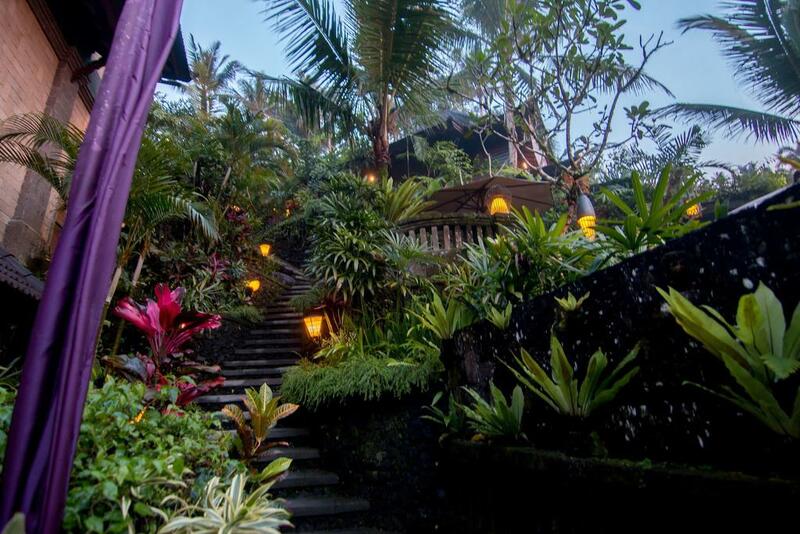 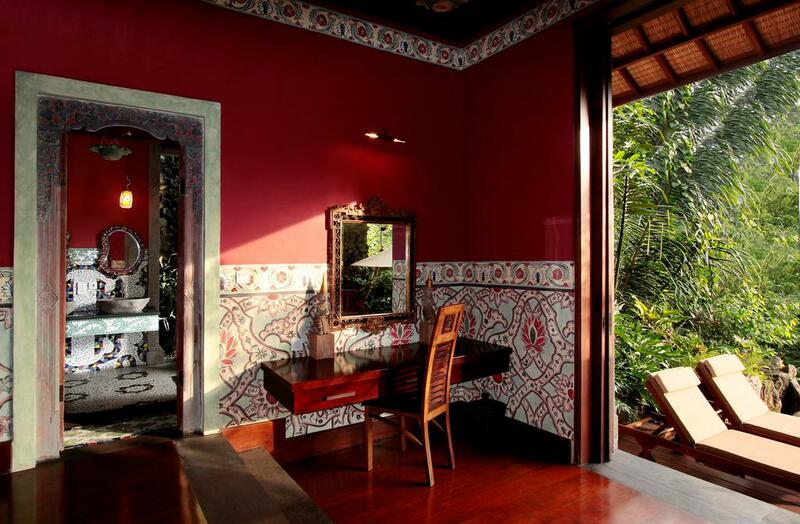 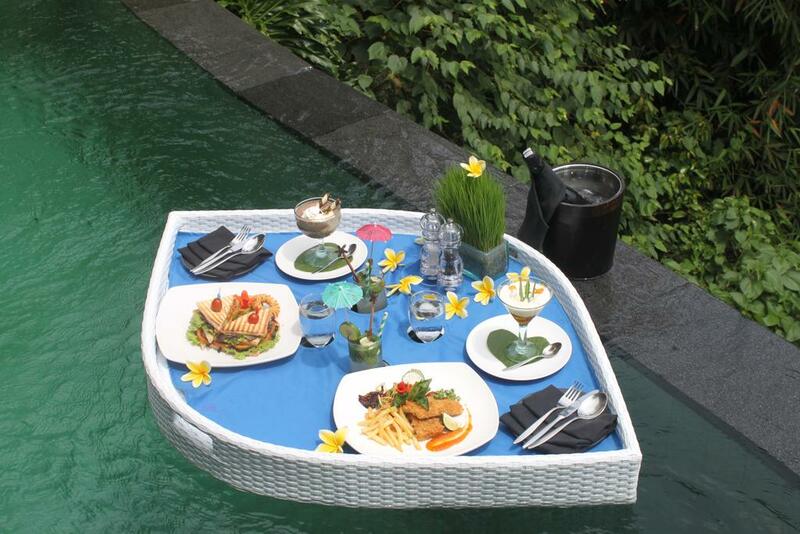 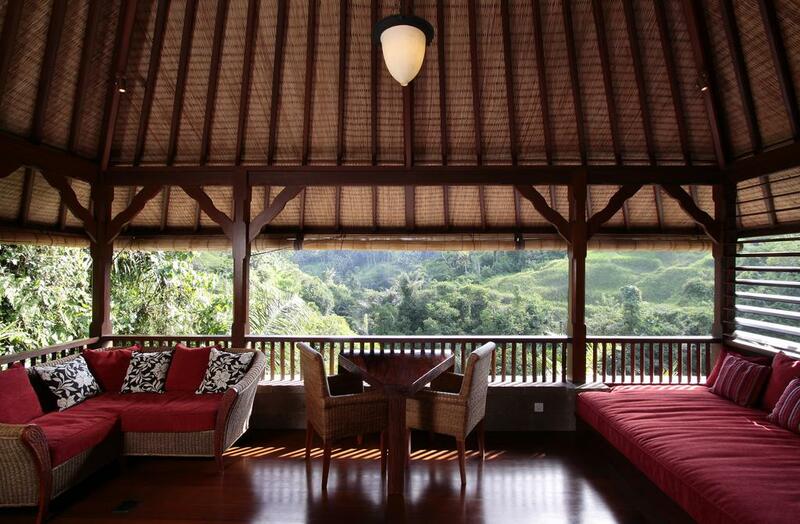 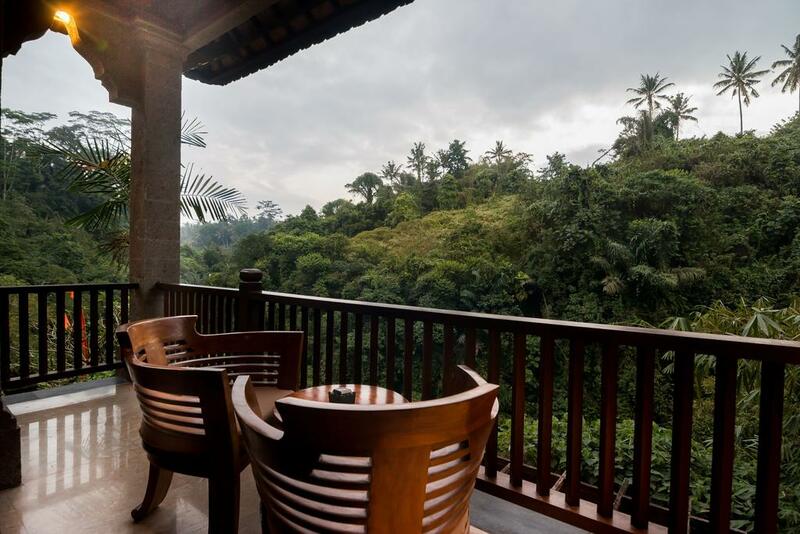 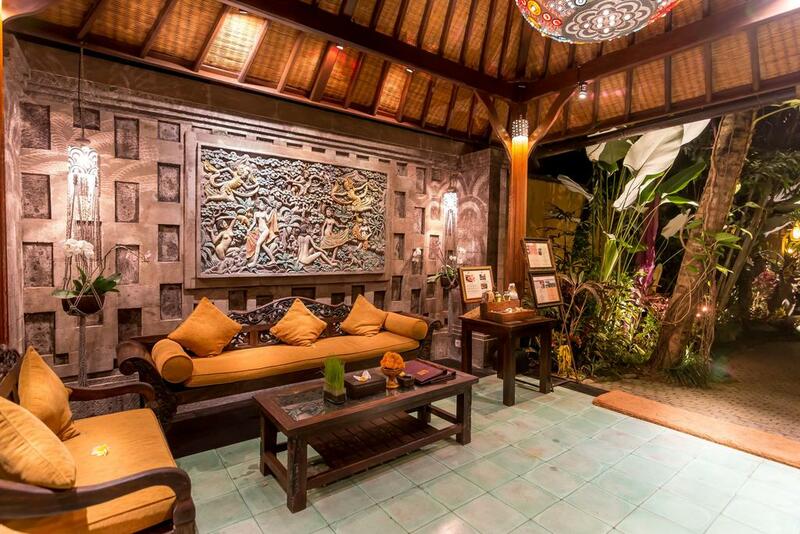 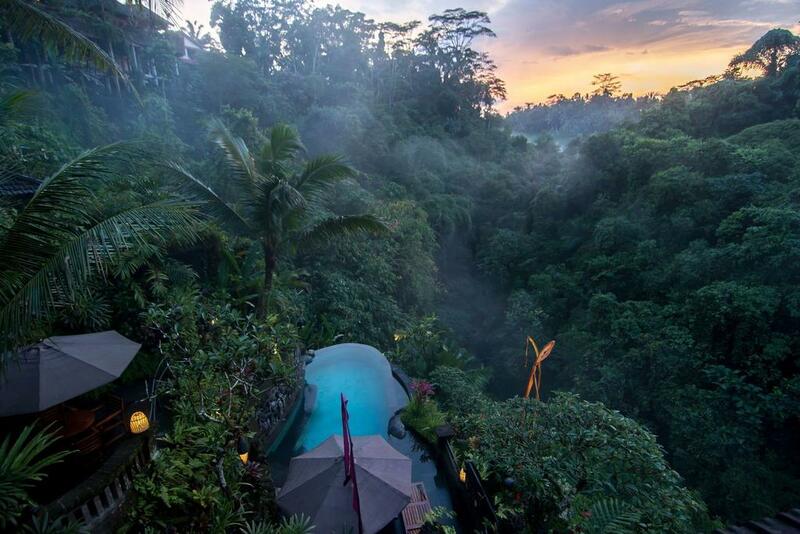 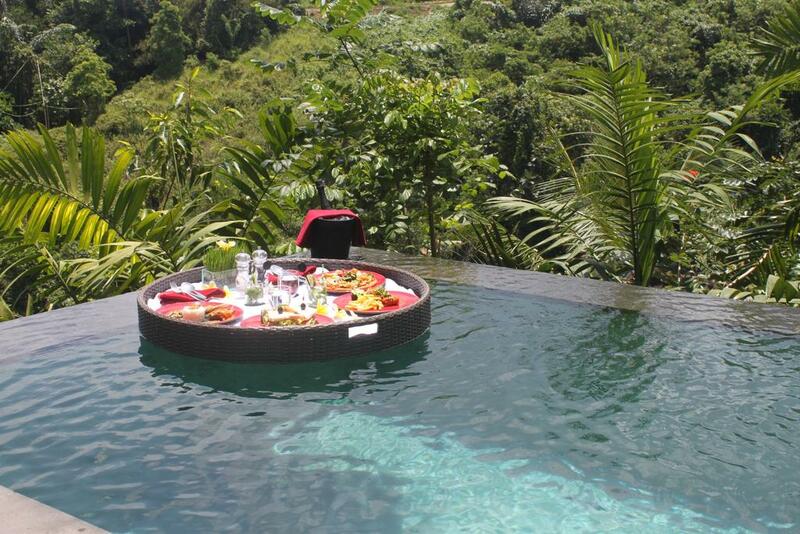 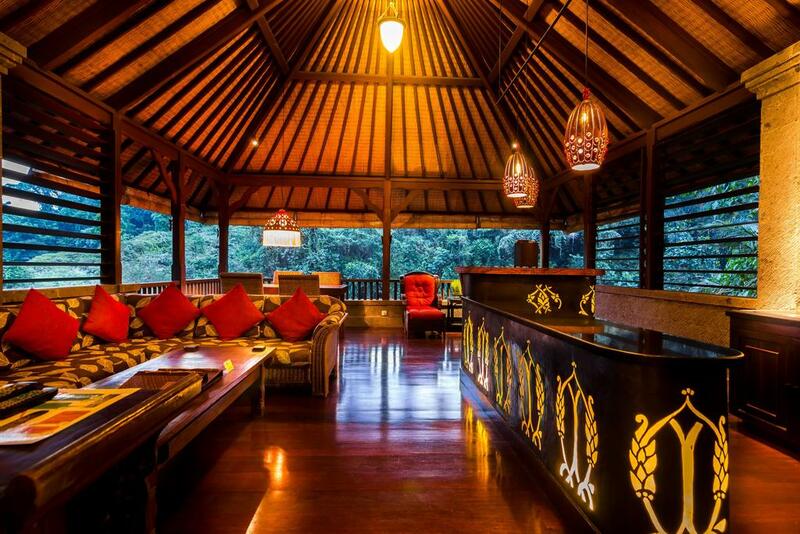 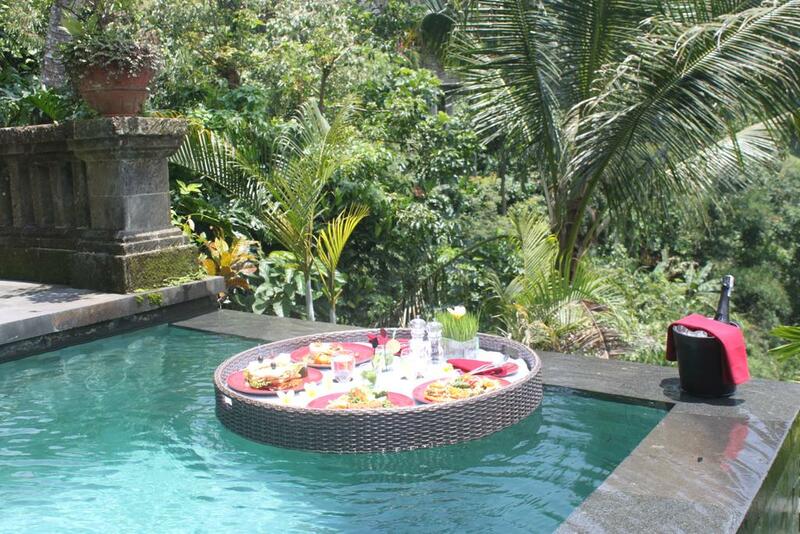 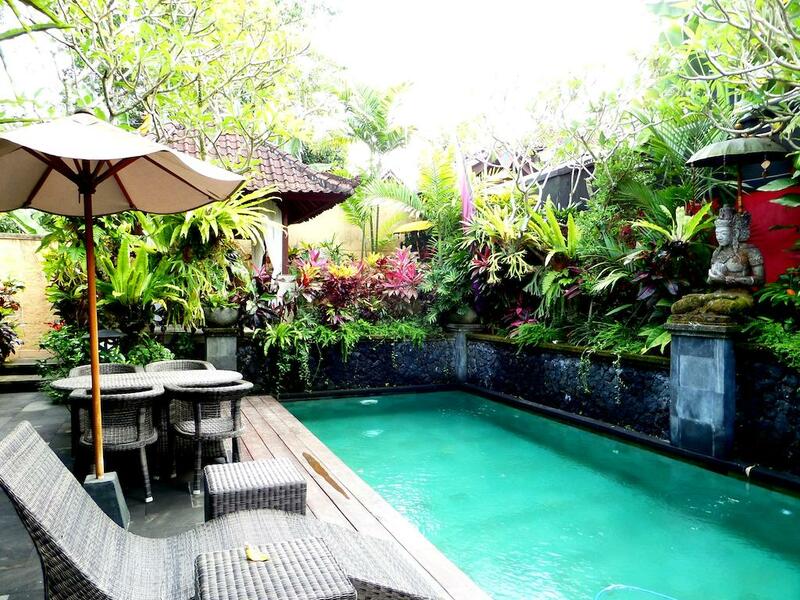 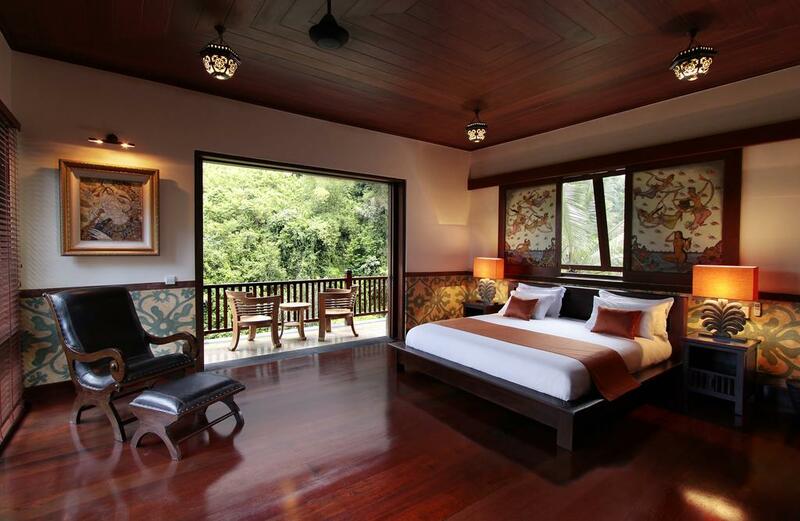 Features a living area with views over Ubud valley, daybed and garden roof terrace. 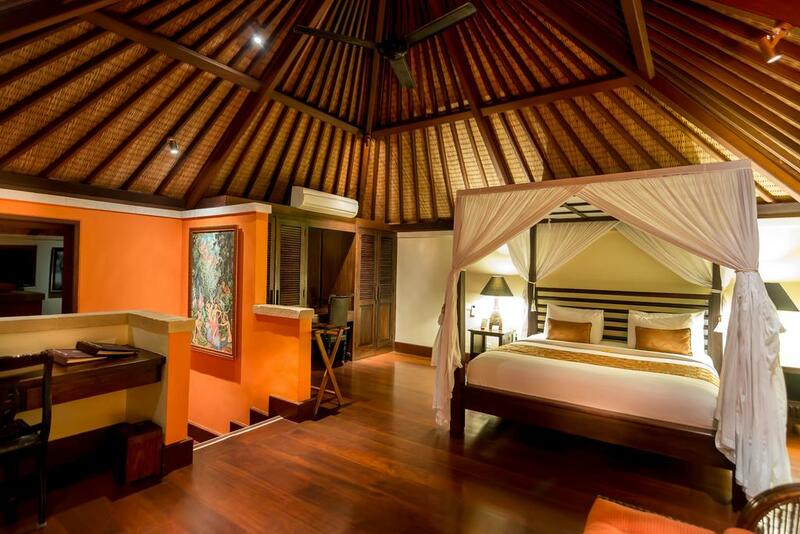 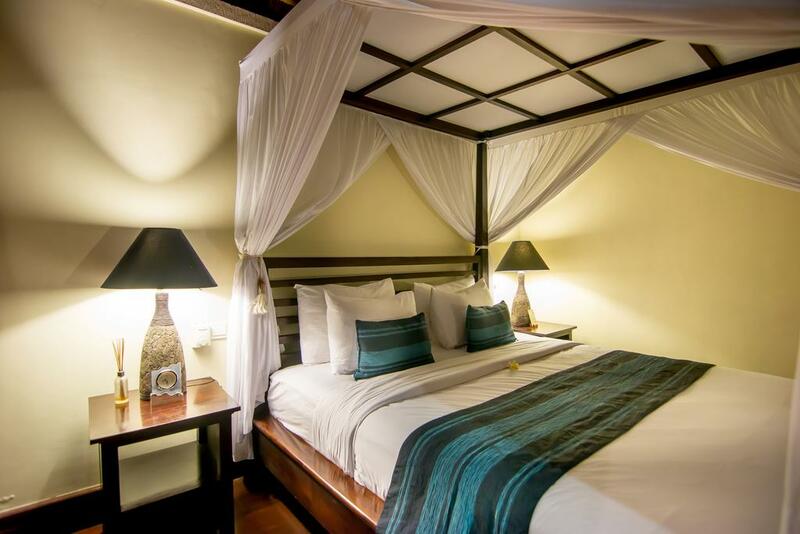 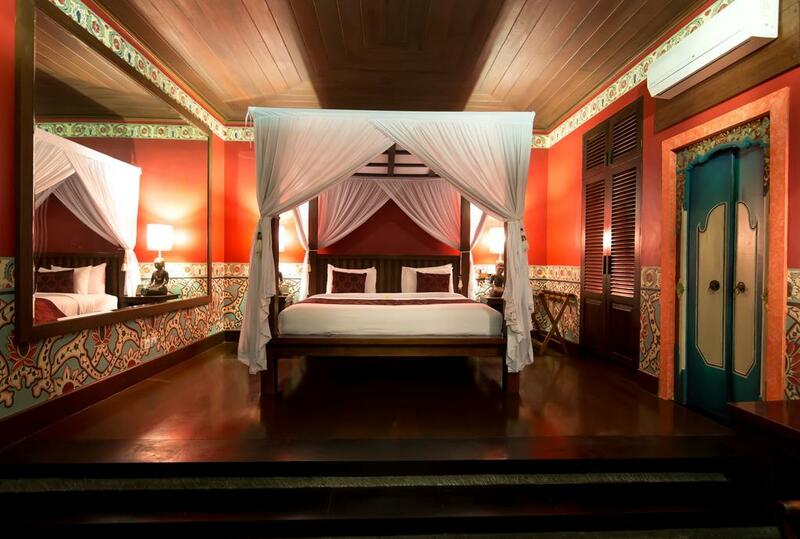 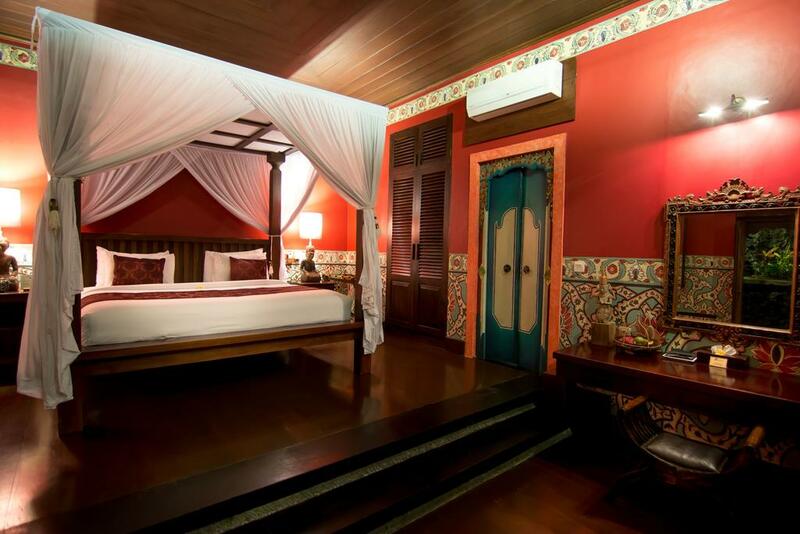 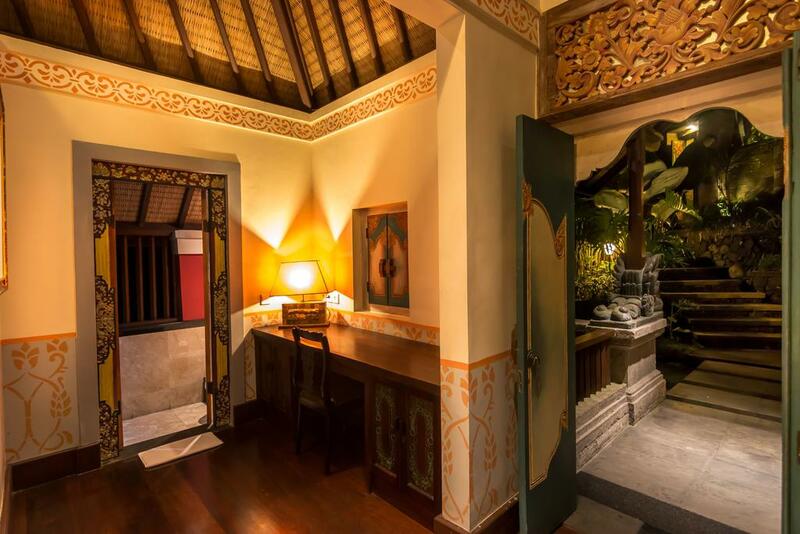 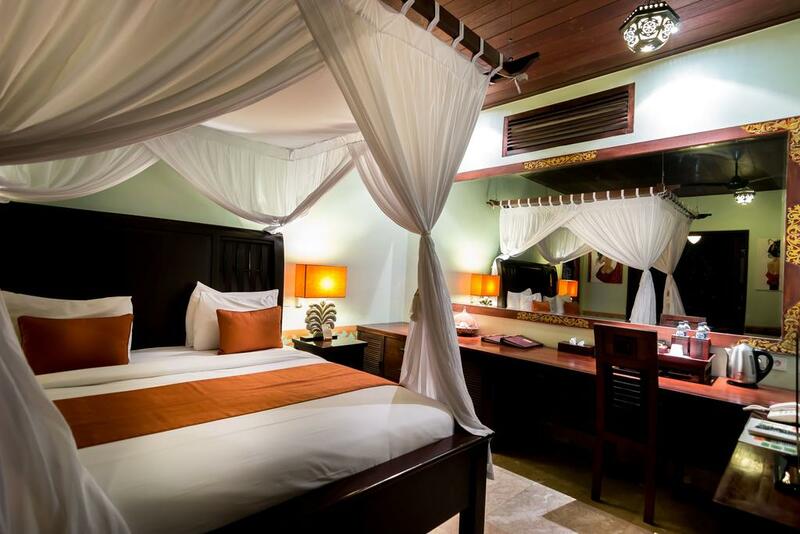 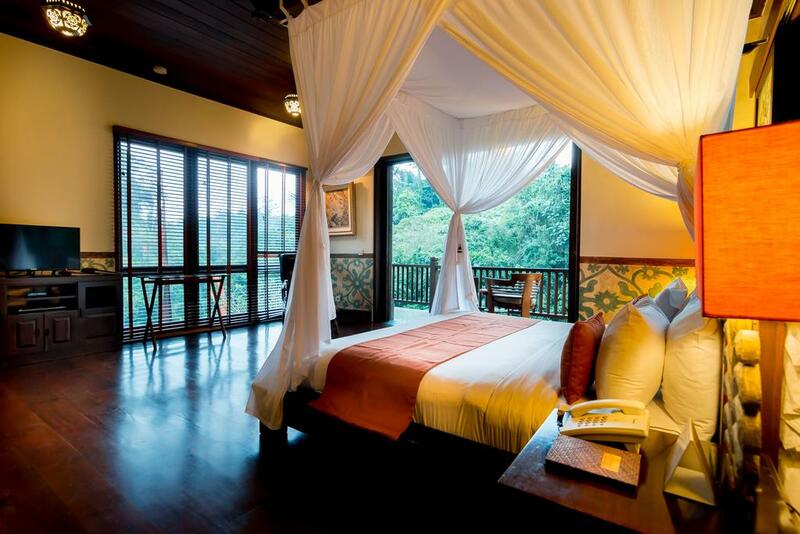 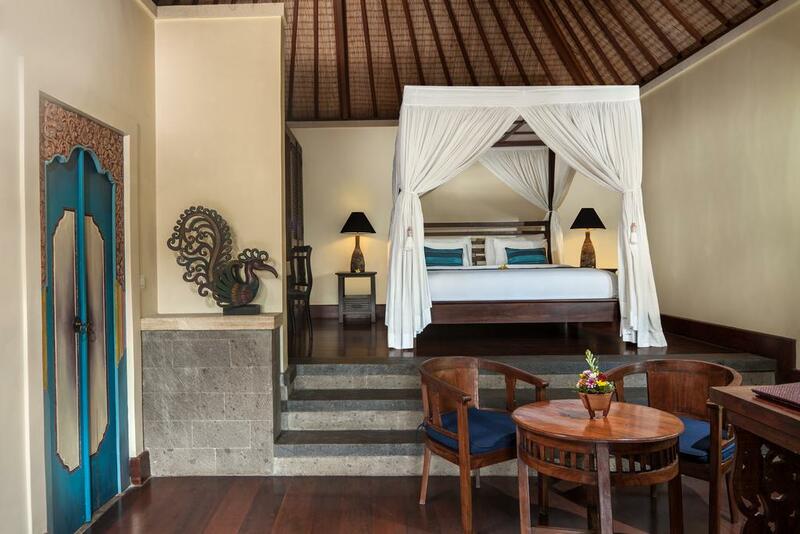 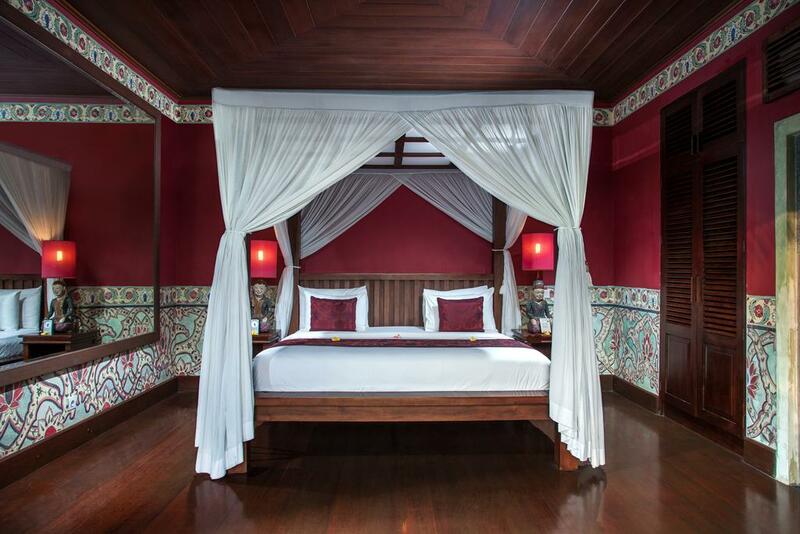 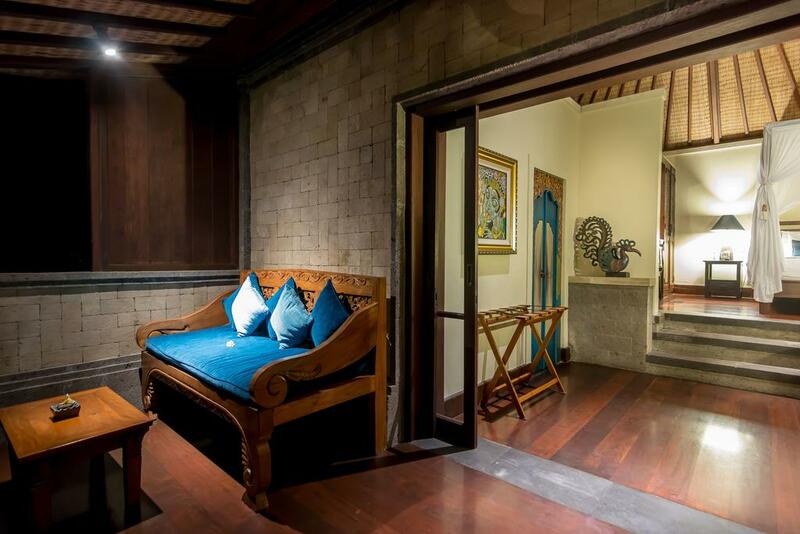 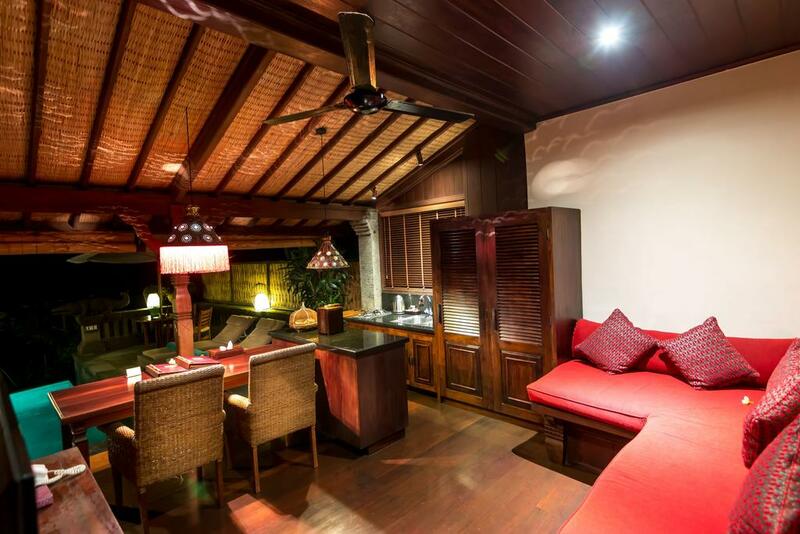 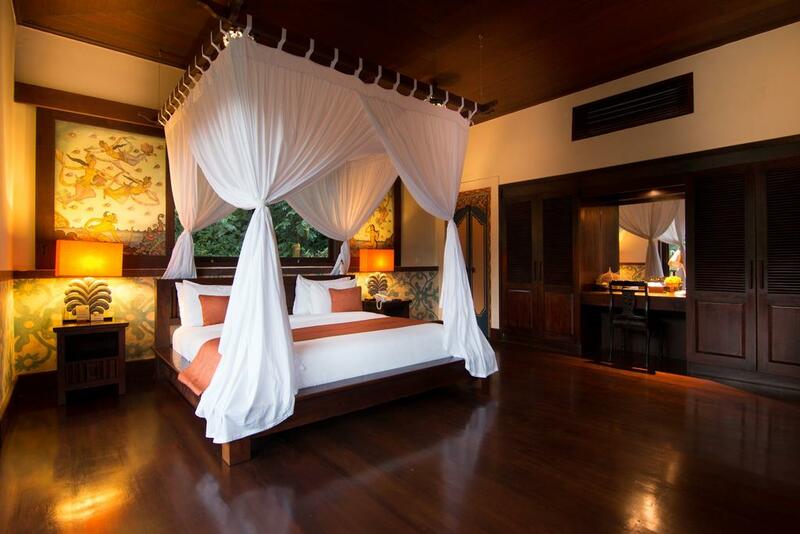 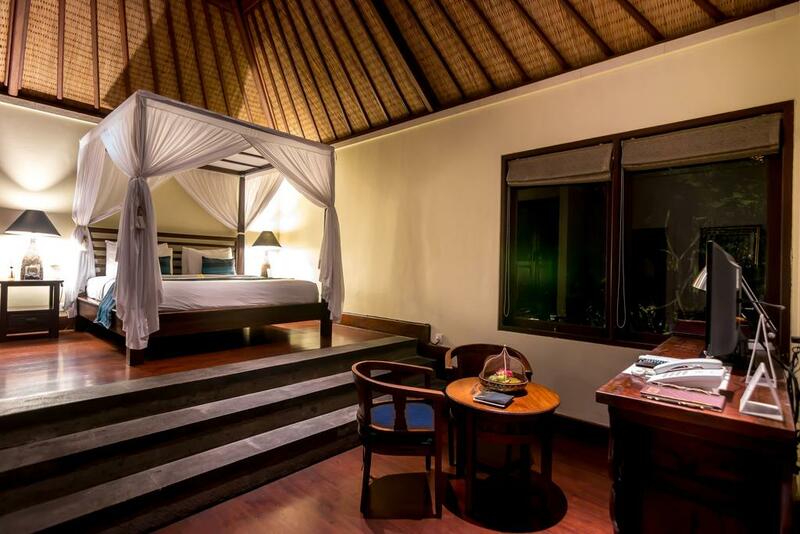 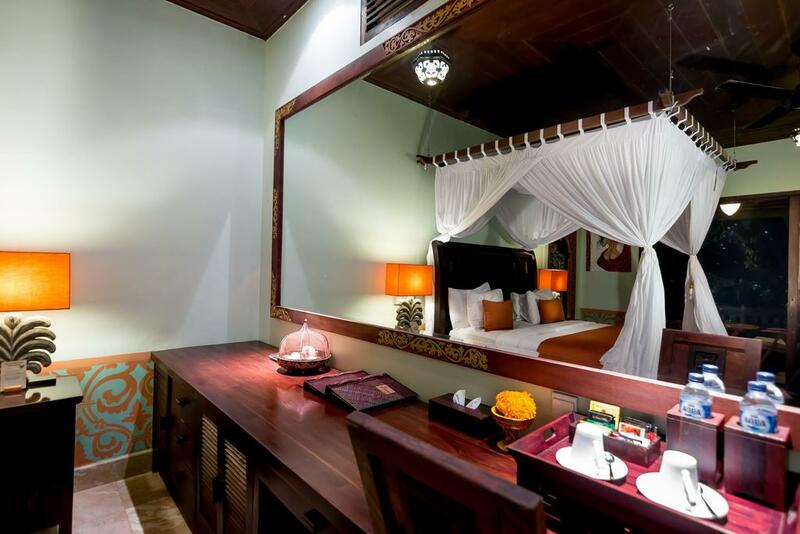 The air-conditioned bedroom comes with a 4-poster bed and overlooks the private pool. 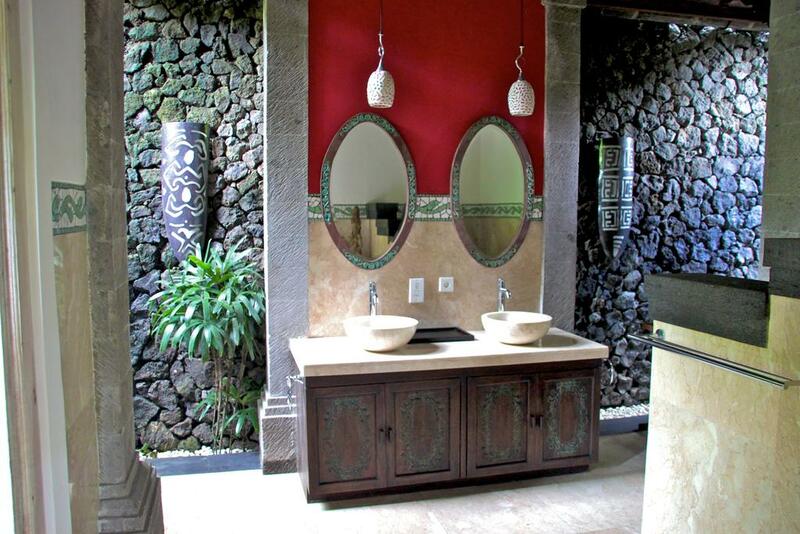 A private bathroom includes indoor and outdoor areas. 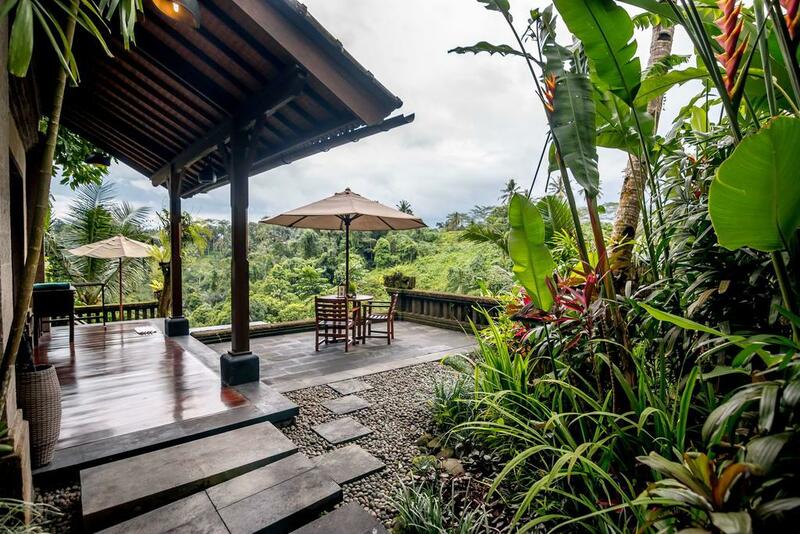 This spacious villa features a kitchen, small office and large living area offering views of Ubud valley. 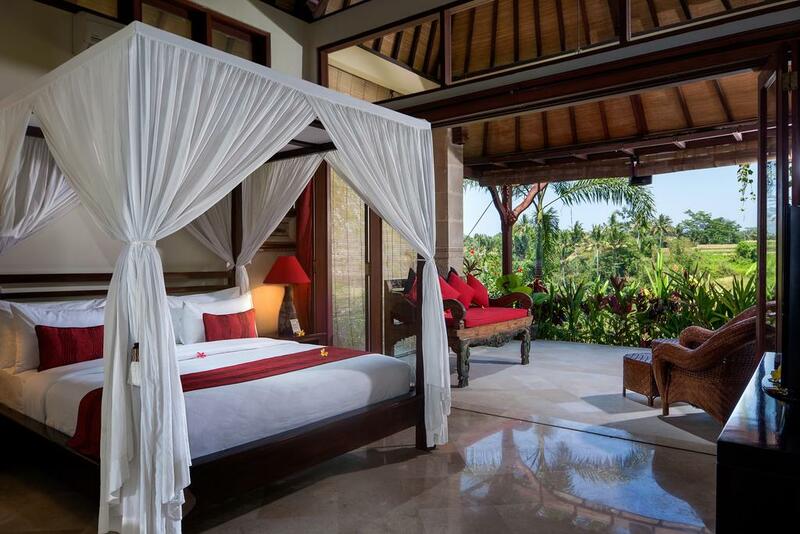 Bedrooms have their own private balcony or terrace overlooking the private pool. 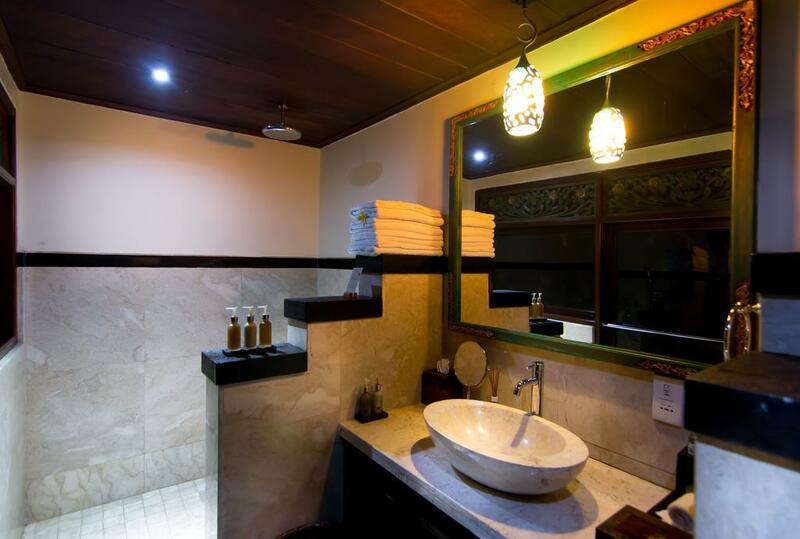 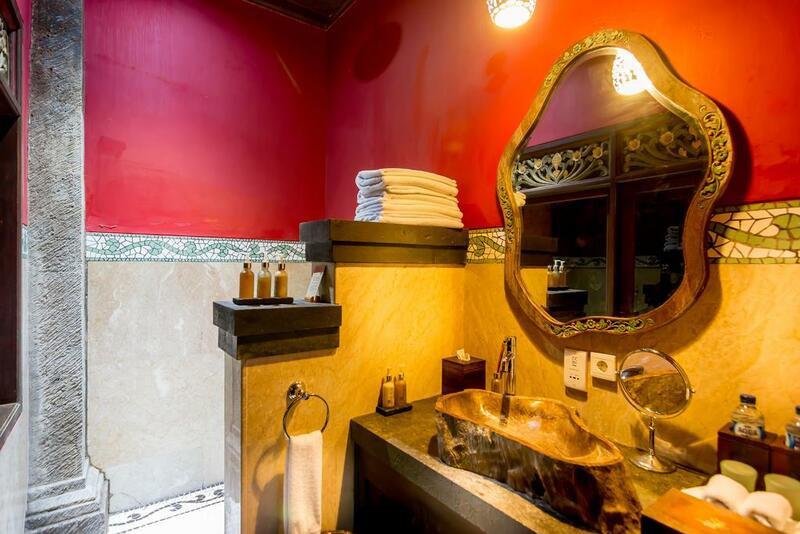 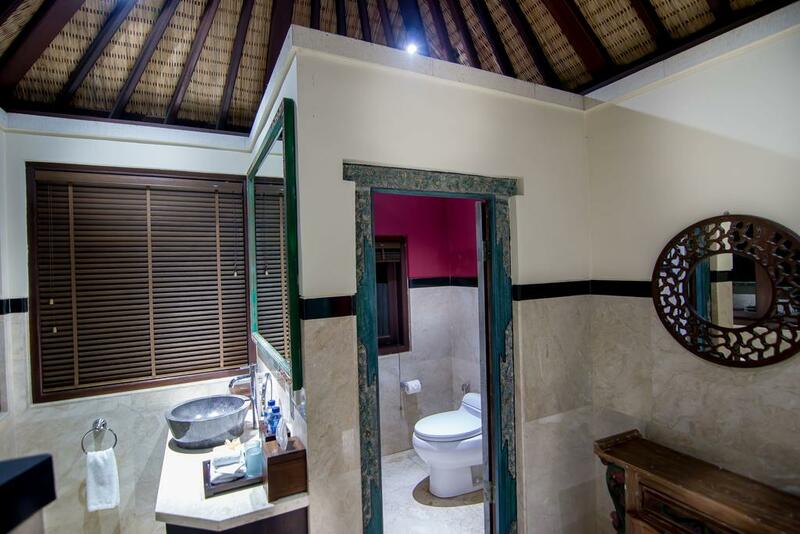 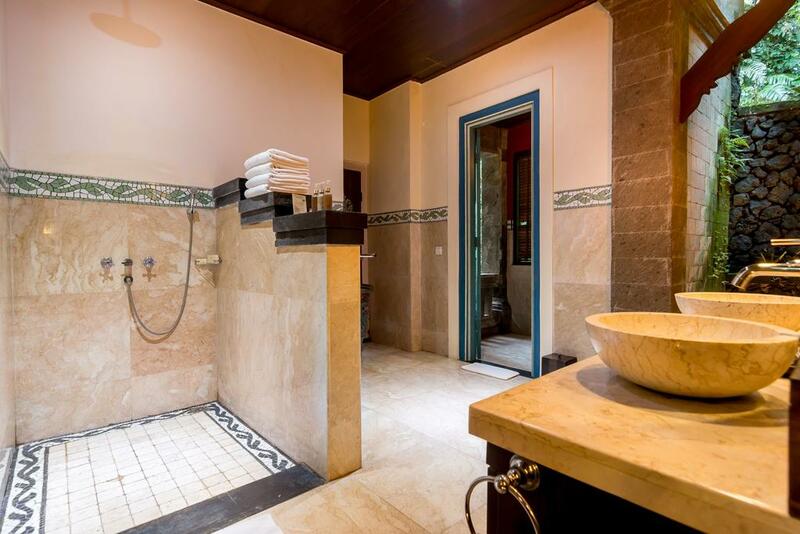 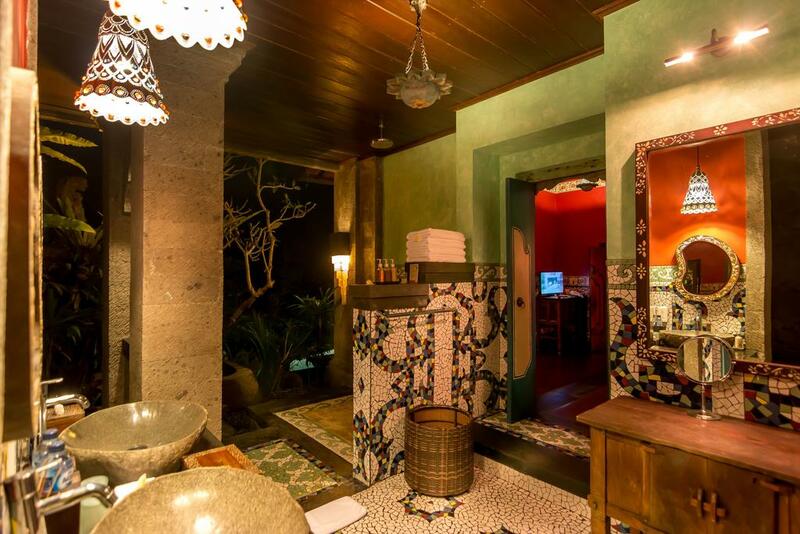 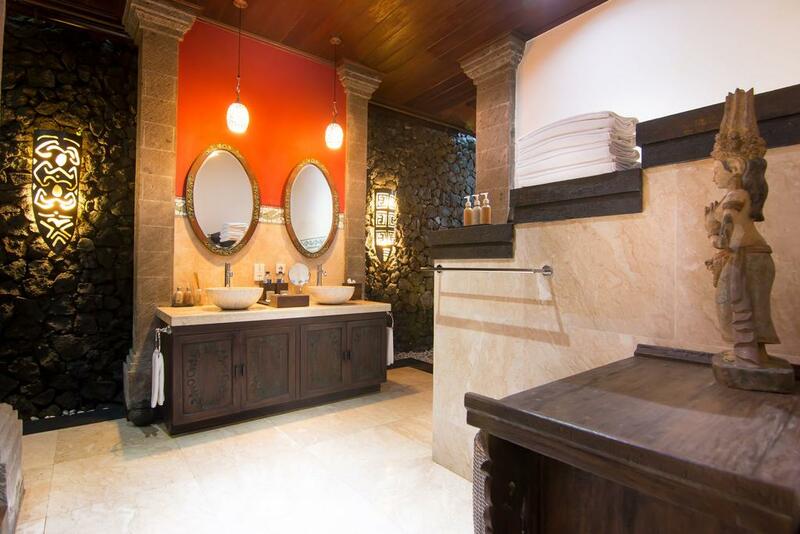 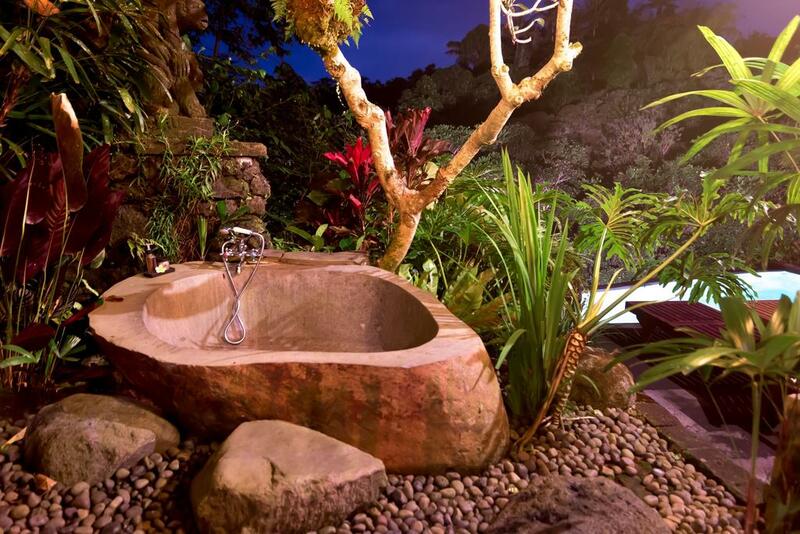 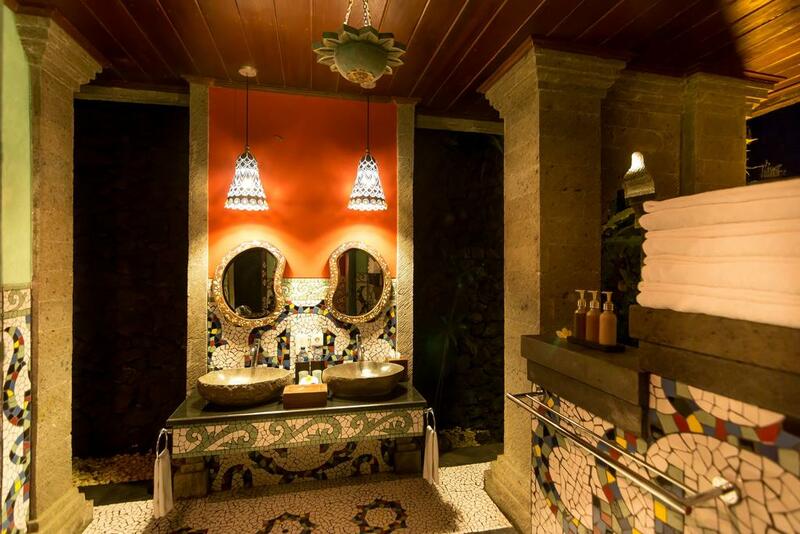 The luxurious private bathroom includes indoor and outdoor areas.